Welcome to Check Please: Year Four! âœ“ WAIT. What time is it? Is this why Jack and Bitty are late to the presser that's about to happen in 3.26?? Jack and Bitty!! ARe very tired!! Leave them alone!! âœ“ Wow your art has CHANGED. 2013 vs 2018. YUP. â˜† Next UP. What happened last night? 4.2 - "24 Hour Celly". It drops 6/18. â˜† There is...so much news. My gosh. Please bear with me. â˜† Updates??? 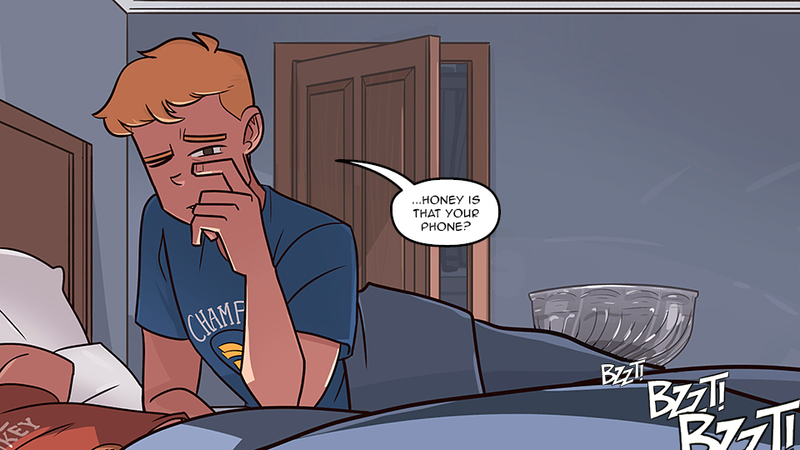 Check Please will update on Mondays! Sometime in July I'll take another break, and we'll probably have hiatuses here and there throughout the year. But! Expect weekly updates for the next few comics! And ask-a-wellies. And extras. Hoorah! â˜† Conventions This Year! Because Check Please: #Hockey is coming out this year, I'm doing at LOT of traveling. @_@ Guys, some months, I'll be gone for weeks. But for now here are my upcoming conventions. â˜† Surprise--Check Please in bookstores. Hello! 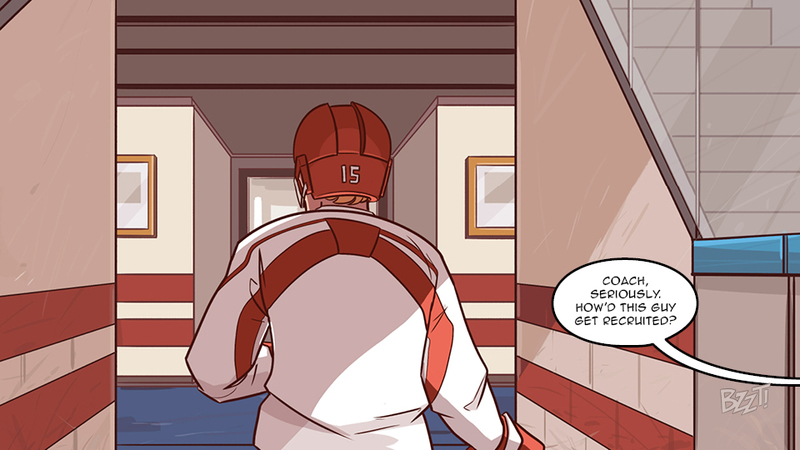 If you don't know, Check Please: #Hockey is a book compiling Bitty's freshman and sophomore years! This book drops September 18, 2018 and you can pre-order it here. #Hockey will be in bookstores!